Andy Saunders has been involved with historic aviation for over thirty-five years and is well known in the aircraft preservation and restoration field. 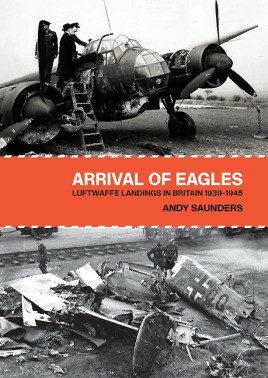 His specialist area of interest is in the air war over Europe, 1939-1945. One of the co-founders of Tangmere Aviation Museum, and its first curator, Andy is also respected as a serious researcher, author, and editor and is a prolific contributor to the aviation press. He is passionate about flying and history, regularly travelling in search of historic aircraft and artefacts. He also acts as adviser or consultant to film and television companies and was past editor of Britain at War.